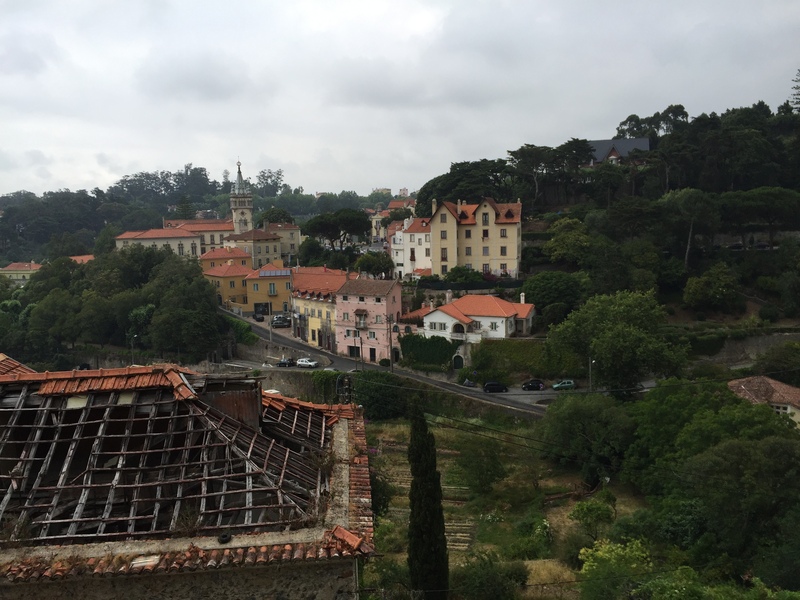 We caught a bus from Estoril past the famous Estoril ex-F1 circuit to a gloomy yet enchanting Sintra, a green wonderland with fairytale-like buildings. 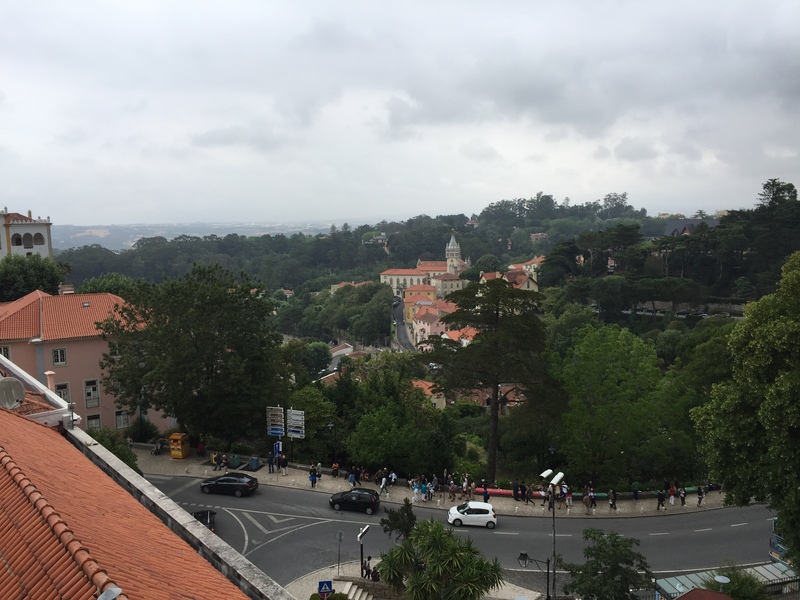 Even though the tops of the hills were shrouded in fog, the place felt like a breath of fresh air and it was great to get up above the Lisbon/Cascais/Estoril coast. 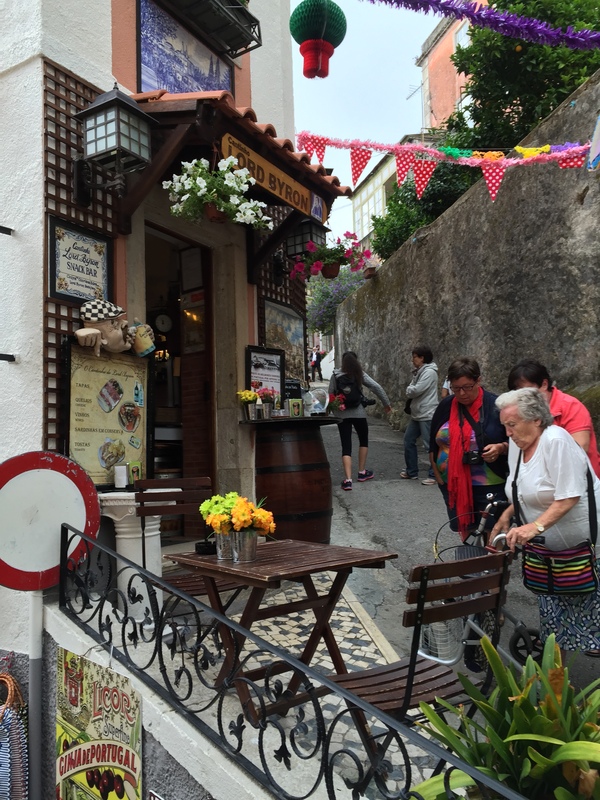 The road wound down the valley and back up the other side past dozens of crafters selling their paintings, leather goods and jewellery to the main square of Sintra with its tourist shops, restaurants and palace. Stretching off the main road were narrow alleyways twisting up the hillside, full of all manner of cute shops and buildings. There was even a snack bar named after Lord Byron, who famously wrote about his love for Sintra. As we ascended the hillside proper and left the tourist centre behind, the views became more spectacular. 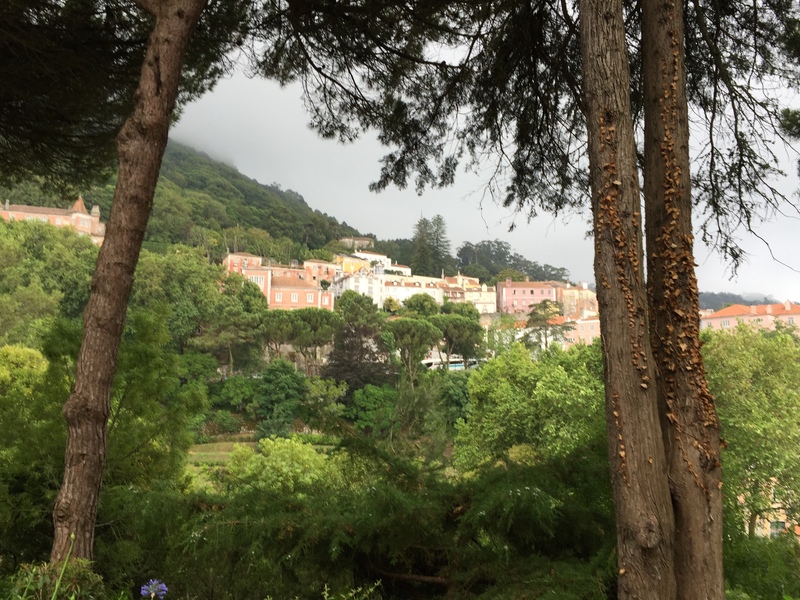 Terracotta rooftops dotted the blanket of dark green trees as we hiked up cobbled street after narrow staircase, which eventually led to woodland. 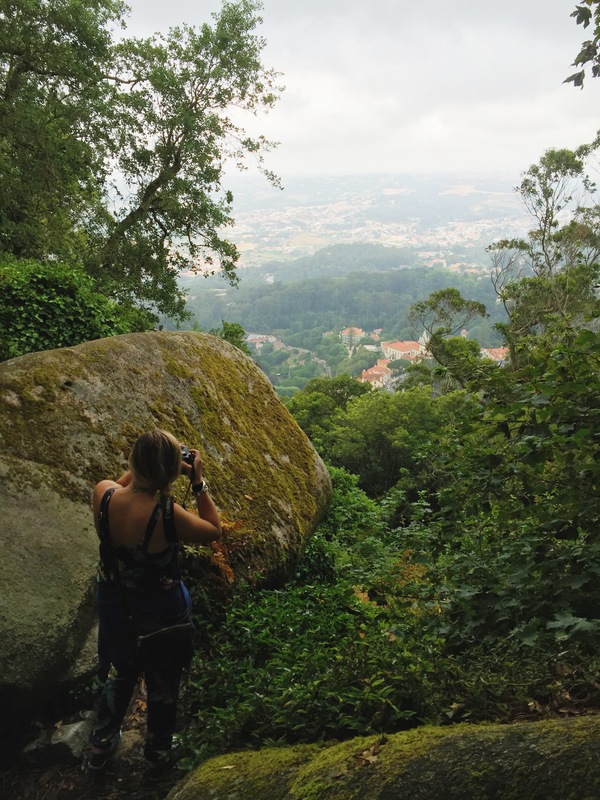 Amongst the trees and boulders the size of buses was a feeling of tranquility, knowing we had escaped the hustle and bustle of the town below. 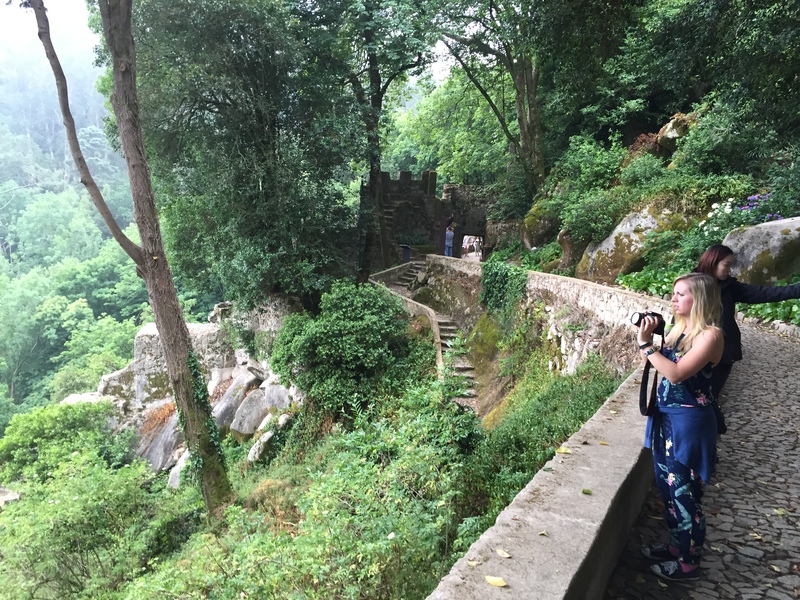 Eventually we came to Sintra castle with its crenellations gradually being reclaimed by nature, much like the Temples of Angkor Wat in Cambodia. A while later we reached Pena National Palace as a convoy of VW Beetles happened to be streaming past. Ordinarily we would have gone in to take photos of the Disneyland-esque castle, but with the low hanging clouds we figured the pictures would not have been particularly spectacular. After losing our way a little on the path back to town, we eventually reached the main square again where we picked Cafe Paris from a range of adequate but not-all-that-exciting restaurants for lunch, before having a wonderful pastry from Fabrica das Verdedeiras Queijadas da Sapa. I’d recommend it as a day trip from Cascais, but like Lisbon it didn’t quite match my expectations. Perhaps on a beautiful summer’s day it would have been more enjoyable but I doubt climbing those hills in scorching heat would have been much fun. 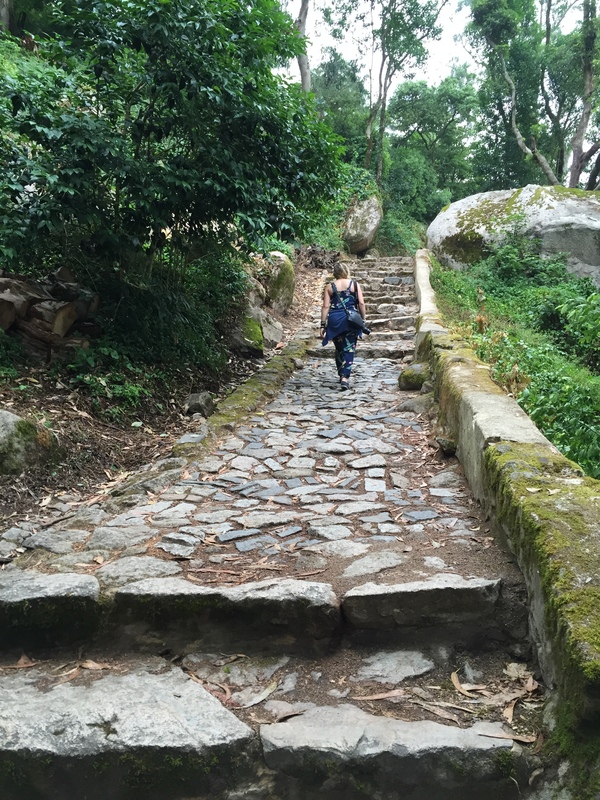 This entry was posted in Europe, Travel, Travel Videos and tagged Portugal, Sintra, Travel Videos. Bookmark the permalink. 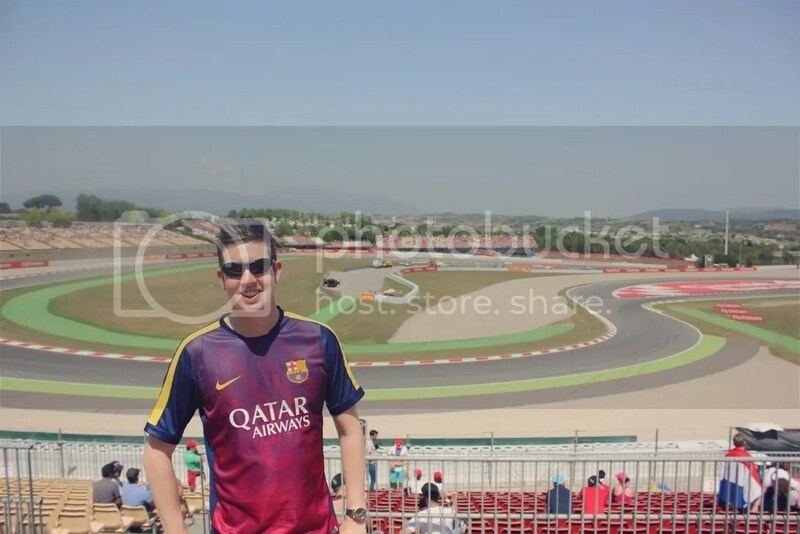 Amazingly a great city for extraordinary trip to picturesque and unique locations. Such a shame it didn’t quite live up to expectations as your descriptions are so lovely that I really felt like I was there, watching the traders selling their goods and looking over the valley. Does sound very pretty! Aw thanks! It might have been more spectacular in the sunshine. Still worth a visit! 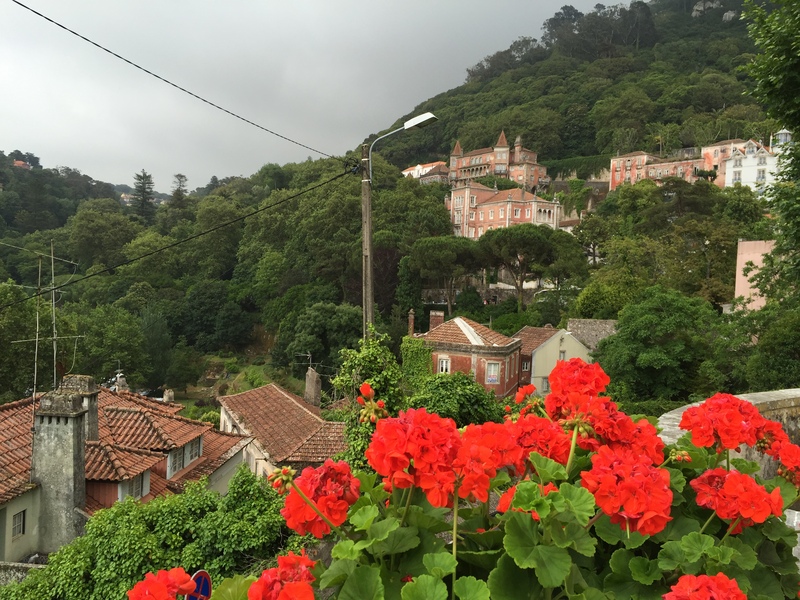 I live just below Sintra and it is stunning. You have to look past the tourist ‘tat; and at the actual town itself, its wonderful history – Lord Byrom, Beckford, Royalty, the Moors, the Goths, the Convents, the palaces – Palacio de Pena, Monserrate, the National Palace, the amazing Town Hall building, Quinta da Regaleira with its wonderful gardens, Initiation Well and water features, its parks, its museums but most of all the stunning scenery whether draped in our famous mists which make everything green when elsewhere is burnt, or when everything sparkles in the sunshine. These mists have made it a winner with many film directors and feature in many a film – The House of Spirits, The Ninth Gate (Johnny Depp). Please do come and see it – you will not be disappointed unless you cannot clear your eyes of mist.